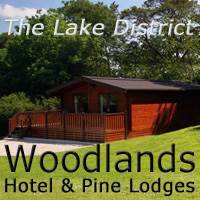 Book hostels in Windermere and the surrounding villages. YHA and independent hostels around Windermere lake. Scroll down or go to Map View. Just 2 miles from Windermere Village, this Windermere hostel is set in 4 acres of semi wooded grounds and has 69 rooms. Glamping in the grounds also available from Easter to the end of October. A fantastic location on the shores of Windermere lake, within walking distance of Ambleside and close to Ambleside pier for boats around the lake. 249 beds including 11 en-suite rooms. Located in the centre of Windermere Village, just 2 minutes walk from the main train and bus station and in the centre of all the shops, bars and restaurants. An independently owned Windermere hostel. A deluxe 4 star luxury hostel just a short stroll from Grasmere village. With extensive facilities of a very good quality, this independent hostel has 24 beds, including dorms and 5 ensuite rooms. Just two minutes’ walk from Grasmere village, this converted 80 bed mansion has spectacular views of the surrounding fells. A family friendly hostel with extensive grounds and safe play area. A privately owned independent hostel in a 350 year old Lakeland farmhouse in extensive grounds, just 10 minutes walk from Grasmere village. 7 rooms are ensuite. Overall up to 42 beds. Situated just a very short stroll from the centre of Elterwater village, and close to the banks of the river Rothay, this privately owned independent hostel has 38 beds. .
Overlooking Esthwaite Water and 20 minutes walk from Hawkshead village, YHA Hawkshead is a grade II listed building with 106 beds. A mixture of dorm rooms and private rooms, some en-suite. 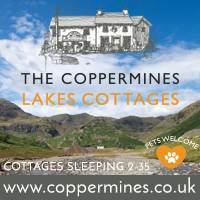 Excellent for activity breaks, this traditional Lakeland house hostel is just a 5 minute walk into Coniston village. 60 beds between dorms, private rooms and camping. Informal and cozy, YHA Coniston Coppermines is 500 feet up the ascent of the Old Man of Coniston in a wonderful wild landscape. 20 minutes walk to Coniston village, 30 minutes back up. 26 beds. 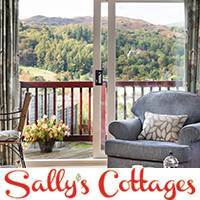 10 minute drive from Ambleside and 20 minutes walk from Elterwater village. A wonderful old mansion, steeped in history, with unparalleled views of the Langdale Pikes. Great base for walking the fells.